Funko has announced their second DC Comics Super Deluxe Vinyl Figure, and it’s the Dark Knight of Gotham City, Batman! 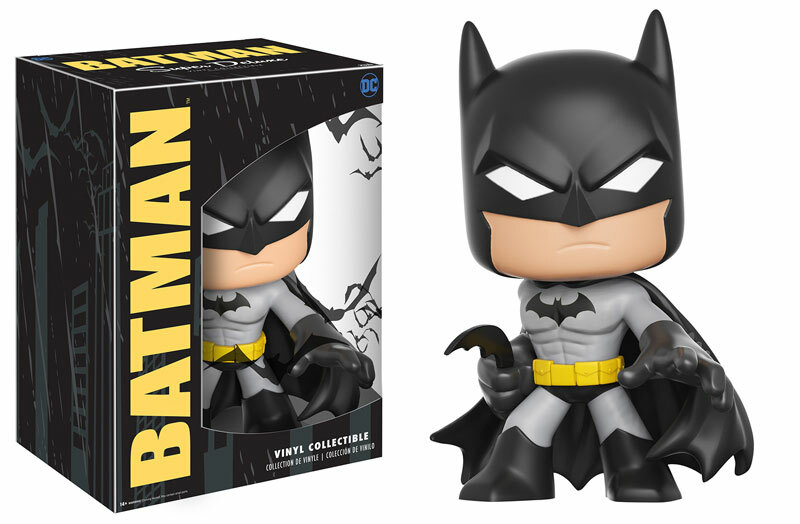 DC Comics collectors will definitely love this supersized Batman Super Deluxe Vinyl Figure! This high quality stylized figure stands 10” tall and comes packed in a full color window box perfect for display. Collectors can pre-order the Caped Crusader now at Entertainment Earth for $79.99 here.